Pyongyang: North Korea on Tuesday said the US military has conducted a nuclear bomb dropping drill in South Korea and called it an "extremely reckless" move presaging a nuclear war on the Korean peninsula. "On May 1, the US imperialists committed one more military provocation of conducting a nuclear bomb dropping drill against the major objects of North Korea in the sky over South Korea by bringing a formation of notorious nuclear strategic bomb B-1B in the wake of Key Resolve and Foal Eagle 17 joint military drills," Xinhua news cited the KCNA as saying. The report said the bombers took off from Guam and "stealthily came in the sky over the East Sea of Korea to acquire the procedure and way of the coordinated operation with the strategic striking means such as nuclear carrier and nuclear sub". "What merits a serious attention is that such a military game is underway when (US President Donald) Trump and other warmongers are crying out for making a pre-emptive nuclear strike at North Korea day after day," it said. Tension has remained high over the past two months between the US and North Korea over Washington's threat to stage a military attack upon Pyongyang for its nuclear and missile programmes. 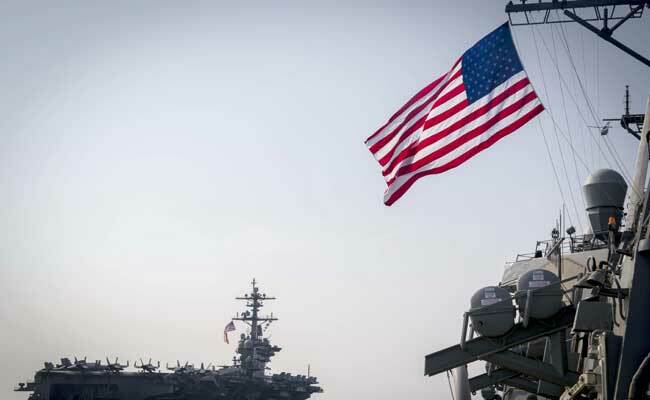 The US and South Korea also held their largest so far joint military exercises in the past two months, while the USS Carl Vinson nuclear aircraft carrier task group has arrived in the waters off the peninsula for joint drills with the South Korean military.